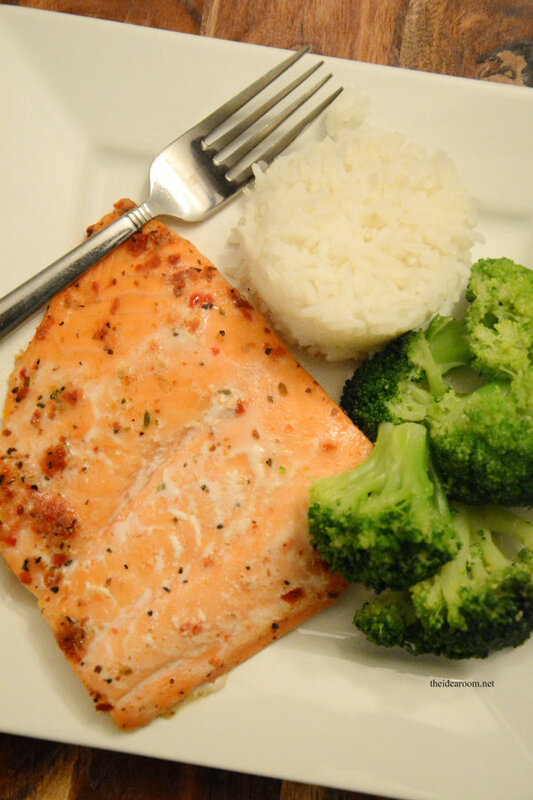 One of our family’s favorite recipes is this delicious Baked Salmon Recipe. My husband was not a fan of fish when we first started dating and in the earlier years of our marriage. 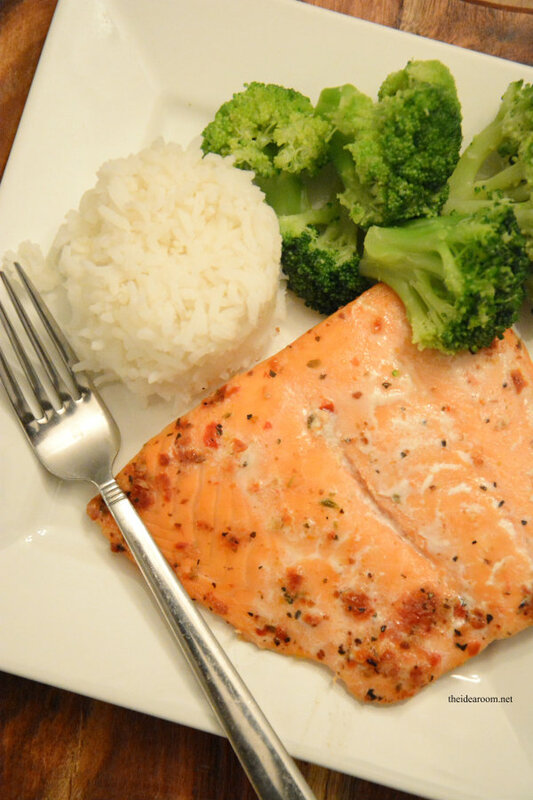 It was not until he tried this Salmon Recipe that he decided that he actually should fish another try. He now eats a lot of different fish and loves it. My kids also cheer when they find out I am making Salmon for dinner. This recipe is one of our tried and true family recipes. It is also so easy to make and pretty healthy too! 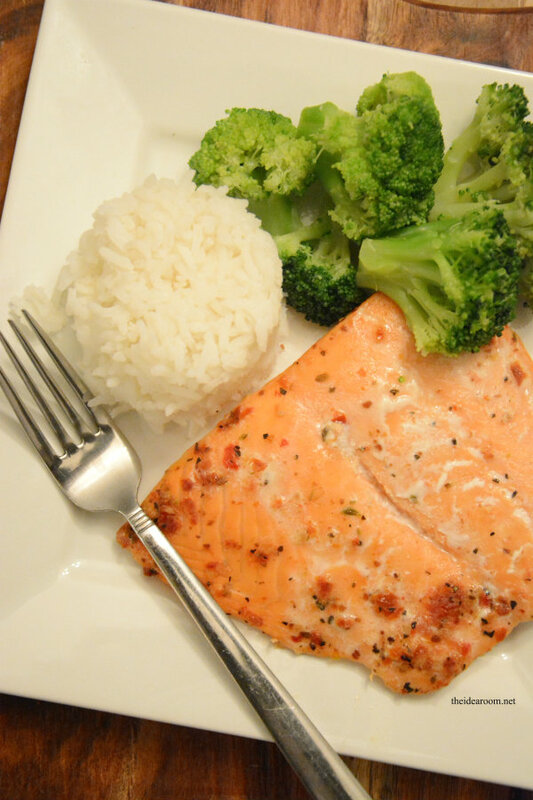 We usually always use Salmon from Costco and have found that it is by far some of the better Salmon we have found for the price. We marinate this Salmon in our favorite Sun Dried Tomato Vinaigrette Dressing from Kraft for several hours before baking or grilling them on some Cedar Planks that have been soaked in water (so they don’t catch on fire). 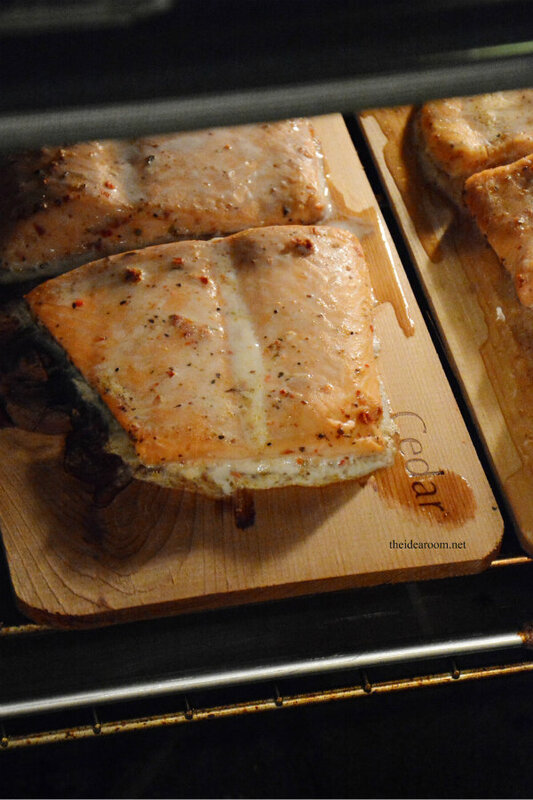 The cedar planks give the Salmon a lovely taste! Soak plank in water, topping with a weight to keep it submerged. Soak for at least 4 hours. BAKE on cedar plank for about 25-30 min. (depending on how big and thick your Salmon is) on 350 degrees. Be sure to place a cookie tray or aluminum foil under the planks so that the drippings don’t make a mess in your oven. The fish is ready when it flakes away easily with a fork. *Untreated grilling cedar planks, can be found at most specialty food stores or some grocery stores. Keep a spray bottle of water close at hand if needed for flare-ups. The cedar plank can be soaked overnight before using as directed. Or if you don’t have a plank, you can grill the salmon on a sheet of heavy-duty foil instead. This recipe is sure to be a family favorite at your house too!! Are you a fan of fish?